I was planning on taking a photo of Eva for today but left the house to go to work and wasn’t able to do so. Today Allison and the kids had a movie day and they watched Jumanji (original one) and Avatar. Eva loved the movie and so she made herself a Nav’i ponytail. Allison had the kids watch Avatar because of the ride at Disney’s Animal Kingdom. Eva cannot wait to go on that even more so now. It is tough on days like these to be working weekend nights. I miss out on the fun of watching the kids seeing different movies and their reactions to them. I’m glad that Eva enjoyed Avatar. Andrew didn’t like it very much, but he did like Jumanji. So, instead of a photo of Eva and her homemade Nav’i ponytail I have more LEGO images. 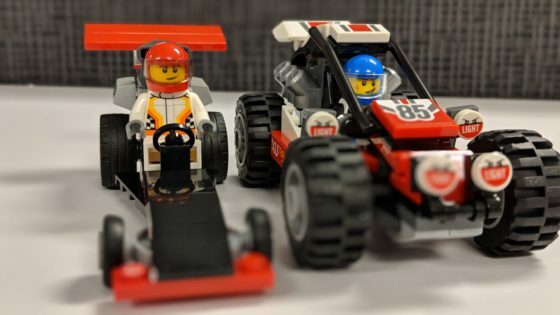 The little dragster is a set that came free with a LEGO store purchase. I picked up the new Black Panther sets and the Thor vs Loki Might Micros set from yesterday’s post. I’ll do an in depth review of he Black Panther LEGO sets when I get a chance to. ODD SQUAD is one of our favorite shows to watch as a family. This is one of the funniest kids shows on TV. The kids are also learning great math skills while they watch so I am happy when the kids choose to watch the show together. These ODD SQUAD movies are also very fun to watch. Our favorite one was when the older team worked with the new team. I don’t know if the cast is going to rotate again but it makes sense because the kids will age out of the show. 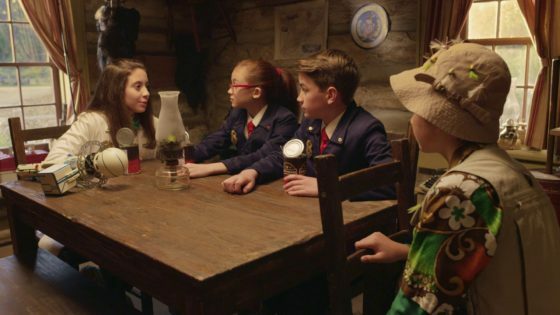 You can learn more about the movie ODD SQUAD: WORLD TURNED ODD which premieres on January 15th on PBS. Arlington, VA, December 7, 2017 – On Monday, January 15, PBS KIDS will premiere a brand new one-hour movie from the multiple Emmy Award-winning series, ODD SQUAD. In ODD SQUAD: WORLD TURNED ODD, agents Oona, Olympia, and Otis accidentally change the past and undo every odd case Odd Squad ever solved. The agents embark on a mission across time to set things right, using a variety of math skills and teamwork. Following the “odd” movie premiere, fans can stick around for a special sneak peek of PBS KIDS’ newest upcoming series, PINKALICIOUS & PETERRIFIC, which premieres February 19.